Consultation + Gynecological Control + First 100 € Free 100-First Analyzes for Infertility Treatment by American Clinic “Dr. Behar Kusari “. 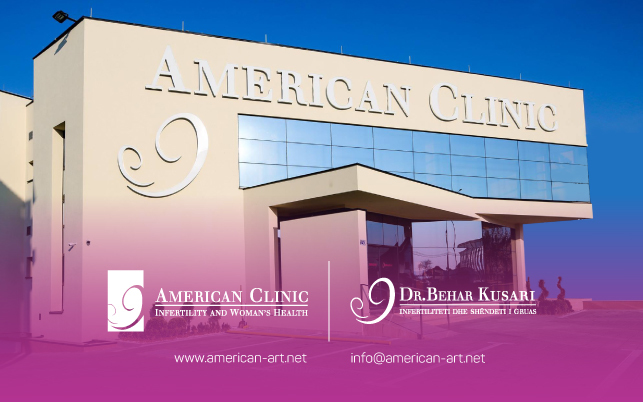 American Clinic “Dr. Behar Kusari “continues to witness social responsibility and well-being to her patients. For the patients’ confidence and success rate in infertility treatment, the American Clinic has decided from 29.10.2018 to 09.11.2018 to provide free consultation + gynecological examination as well as the first analysis, all in the amount of 100 euro per 100 the first patients who begin the treatment of infertility and who will be determined by the examiner on the basis of the condition of the patient whether to proceed with the treatment below or not. Many couples who have problems with pregnancy, we as an Institution are specialized in helping address these cases, so considering that controls and analyzes are one of the key parts of the identification and treatment of infertility, we have decided that couples who have problems with pregnancy, consult free of charge, perform gynecology checkup, and allow free first analyzes to be as close as possible to patients, the American Clinic Director told the newspaper. We recall that the American Clinic “Dr. Behar Kusari “continues to be dedicated to social responsibility and to offer various opportunities in helping patients, while assuring at the same time security in dealing with professional medical staff, latest technology as well as warm and world-wide environments. For more detailed information about the offer, or to arrange free consultations, you can contact +383 (0) 44 126 188 or +383 (0) 38 606 116 or send an email to [email protected] or through social network on Facebook or Instagram.